The crumbling of the Berlin Wall is one of the great events of world history. With barriers broken and a country no longer divided, revival in every sense burgeoned. One result of this was the unearthing of certain distinguished German brands like Zeha Berlin, a high-end designer of sport and urban footwear. 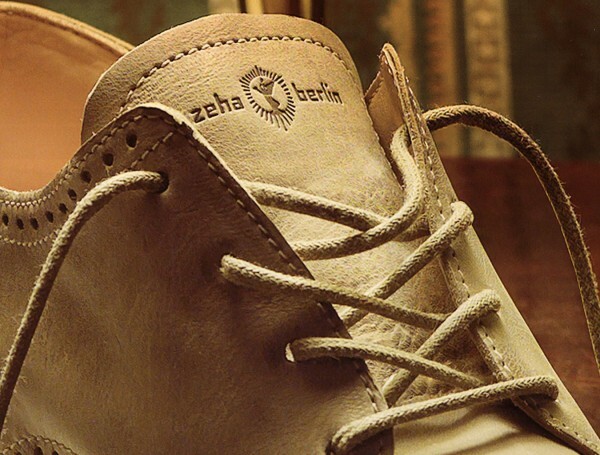 A company whose roots were planted long before those of Adidas and Puma, Zeha Berlin emerged like a fashion phoenix from the rubble of the Berlin Wall. This shoe story begins in 1897. Founded by master shoemaker Carl Häßner in Weida, Germany, Zeha was the official supplier for the GDR Olympic and Soviet Union teams. The durable, double-striped shoe soon became a must-have for urban trendsetters. Then in 1993, production ceased—the brand was no longer coveted, and sales dropped. But it was unexpectedly fortuitous, as it gave the brand the opportunity to rise to prominence outside the East German walls. Today, Alexander Barré and Torsten Heine are capitalizing on Berlin’s booming fashion scene by bringing back the company’s retro style. Zeha Berlin is again at the front of the pack due to the efforts of these two hip thirtysomething Berliners who are determined to revive the cult footwear brand. Barré and Heine’s interest in the brand was sparked when they saw a friend sporting a vintage pair of Zehas at a party. It was a flashback to their adolescence, as they had worn the original Zehas during conditioning workouts. Now, Barré is responsible for design, and slate-grey-eyed Heine is the managerial mastermind. In 2002, the dynamic duo purchased Zeha Berlin, and in December 2003 the reincarnated company had sold 19 pairs of shoes. “There were quite a few difficulties to get to this point, but we were happy to sell those 19 pairs,” says Heine. It took time to produce the first line of shoes because they could not draw on the resources of their predecessor, as all the original factories, located in East Germany, had been closed for years. The Häßner family had but one contact, the old chief of production for Zeha. “He gave us a book—a lexicon, bible about shoes—and we started learning and building our network,” says Heine. With a desire to initiate a successful Zeha comeback, Heine and Barré endured. Zeha’s designs comprise three collections—Streetwear, Carl Häßner and Urban Classics—handcrafted from the finest Italian leather and tanned using vegetable tannins, resulting in a slightly worn appearance that includes classic waxed and brushed surfaces. 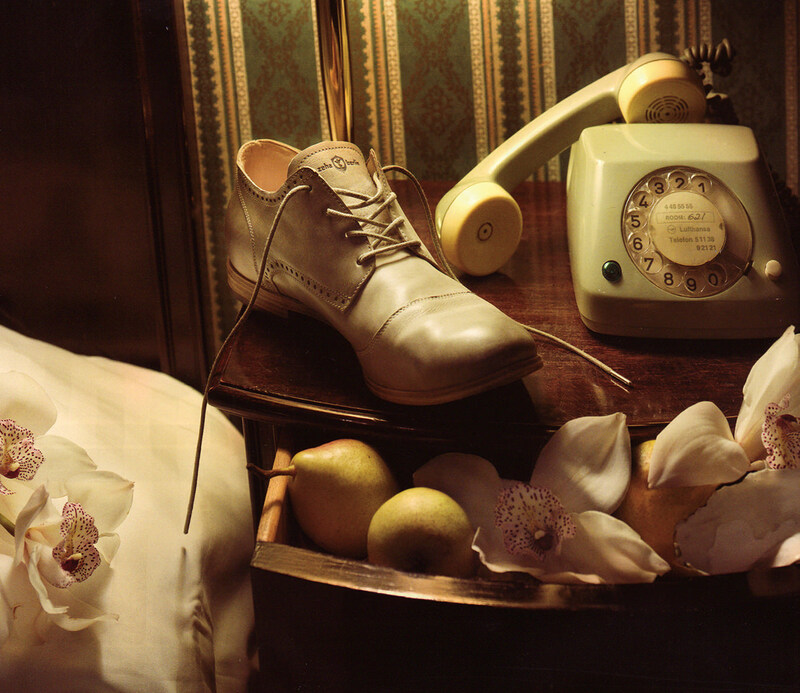 All models are uniquely leather-lined and highlight elaborate workmanship; the shoes are comfortable and their purchase sweetly justifiable. The style of each shoe mirrors that of the originals, which are unmistakably chic, from the simple leather Liga to the bright canvas colours of the Club Spezial. However, they are no longer just for sports venues—Zeha also offers street fashions. Those searching for a quality shoe or boot with classic appeal will swoon over Zeha’s Urban Classics collection, as well as the new line of buttery-soft leather handbags. Heine and Barré “were crazy enough to start this shoe business without any experience or idea about the production of shoes. I guess that was part of it—otherwise we would have never started this,” says Heine. “There were points from time to time we thought, should we move forward or should we quit now? And the next morning, you wake up and think no—we need to go forward. We have invested so much time, energy and money in the project and we need to continue.” Ignorance is bliss—and, for Heine and Barré, profitable. With the launch of the destined-to-be-desired Fall/Winter 2008 collection and sales increases of 30 per cent, the company is moving in the right direction. With worldwide distribution through select retailers and a second boutique set to open in Berlin-Mitte, it’s hard to believe that it was only six years ago that this renaissance arose, all because of a friend and a vision. Now, from their Prenzlauer Berg boutique office stacked floor-to-ceiling high with shoeboxes, the two astute Berliners smile as they tell their tale. It is with sheer determination and hard work that Heine and Barré have successfully resurrected a brand steeped in history, and are now creating their own history. And smile they should.